I'm looking at shooting an event where on-camera flash (with some kind of diffusor) would be helpful, and I don't want to waste time fiddling with a manual flash. I only have the Cactus flashes, where TTL only works via the V6II transmitter. 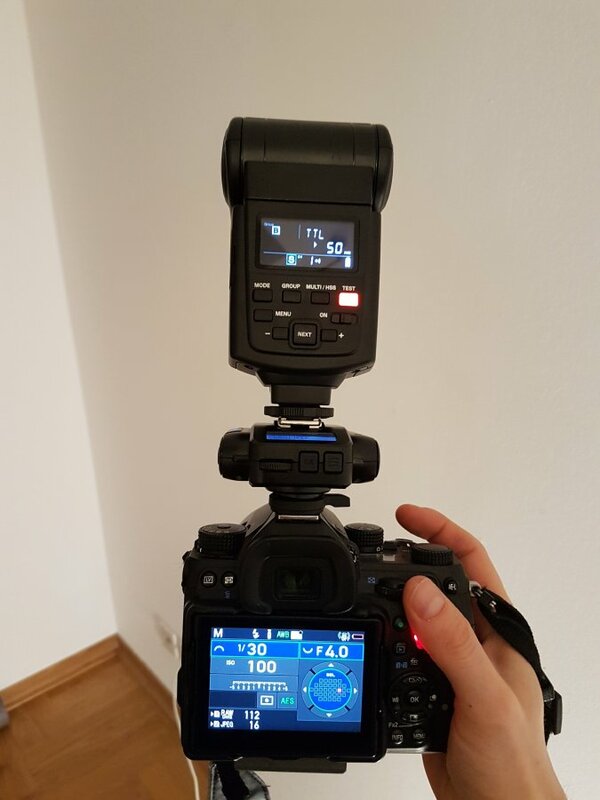 Does anyone have experiencing mounting both the transmitter and flash on the camera, with the flash in the wireless slave mode, to use TTL on-camera? I did a little bit of testing and it seems to work, but hard to tell how well. Only looks slightly ridiculous. Have you considered a bracket? The transmitter would fire flash, and the flash itself would be further from optical axis of the lens. I don't believe that works ..... To have the flash on top of the V6II requires TTL Passthrough mode, and that needs a P-TTL flash. The workaround is to try and tape up the contact so the flash "thinks" its not mounted in a hotshoe, but it sounds far too unwieldy to me to really bother trying. In any case, the V6II plus flash "stack" is really too high and unwieldy for event work, in my opinion. There is a fair amount of weight strain on the connections, and especially if needing to switch between vertical and horizontal its all a bit hair-raising! I'm afraid there's no getting away from it .... for events and dynamic on-camera flash work, you need a P-TTL flash directly on the hotshoe. ..... could you give more details? My belief is that if you set the flash to S slave mode rather than L (local) mode, then it won't be looking for any signal from the hotshoe, just from the wireless transmitter. I just double checked it now and when you mount it like this, the flash unit actually shows 'TTL' on the display, so I think I'm correct. In terms of testing, I've done some exposures at different light levels (in a room and then turn the lights off), and it seems to basically expose correctly... but nothing extensive. In practical terms, I have a fair amount of faith in the Cactus equipment, they screw in pretty tight, so I think the stacking could work okay. But it might get a bit heavy after a few hours on the trot, or get caught in something due to the extra size. 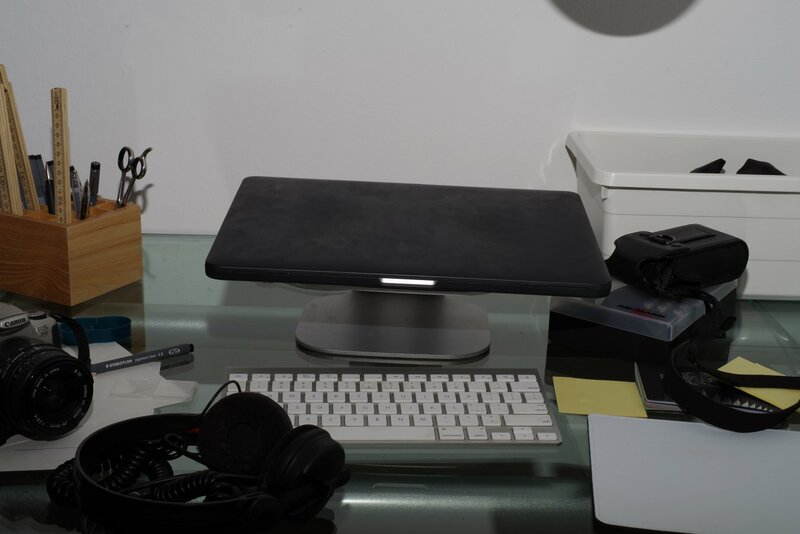 I also don't know how professional it will look, especially I chuck a diffusor on top of the stack. I just did a bit more testing. I get roughly the same (correct) exposure at f1.8 and f16, without changing any settings on the flash unit or the transmitter or any other settings. When you are using this method in TTL you don't have any direct control on the flash power settings, just + or - exposure options. The V6II is set to TTL for the group that corresponds to the flash unit. E.g. B in this case as you see on the photos. I've never tried using TTL with multi group, would be interesting to see how it works though. I installed the firmware last March after they released the Pentax firmware, I'm not sure about the exact one. It's definitely worth proving that you are getting real TTL operation in that configuration, with the flash working as a radio slave. I didn't think it could, based on my own tests a while ago ..... But firmwares do change so might have changed things ...? We have to be sure that your ISO was fixed also, to know if the flash output was actually automatically adjusting in response to your aperture settings . What camera mode are you using, and is ISO fixed? I'm shooting Manual, base ISO. 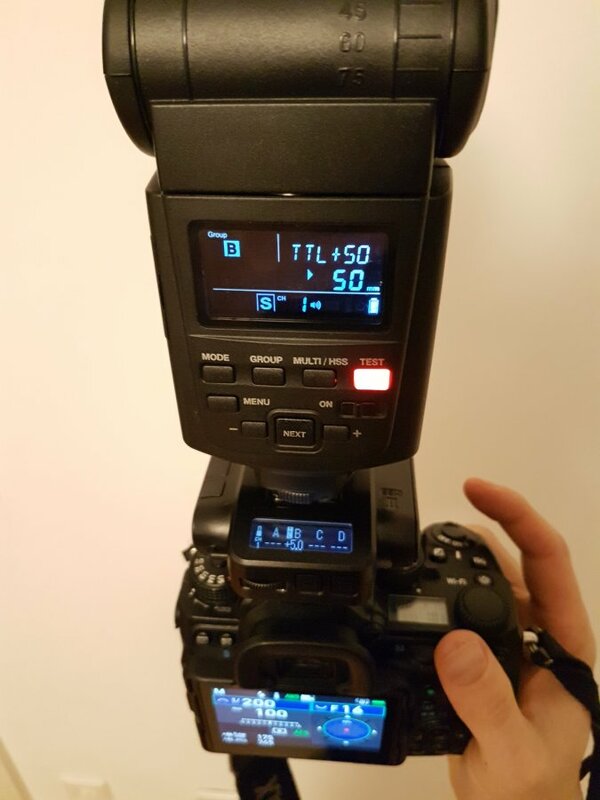 If you want to do this test, set up the flash unit as a slave with TTL, ensure that it's working, and then slide it into the V6II shoe and see if makes any difference to output. I've attached two images shot with widely differing apertures, can you see the EXIF data? There's some degree of difference that I would explain by the metering. You can see the difference in the light quality in the sharpness of the shadow cast in the upper right in the image shot at f16. Remember that changing the room lighting makes no difference at all to what the flash does. Hello Nigel. Could you elaborate a bit ? Do you mean that PTTL does not take into account the ambient level? Sorry for my ignorance about how PTTL works, I really only use PTTL with my on camera flash when I need to fill something; I just fire and it seems to work. My assumption is that PTTL needs to know then ambient light level, and that it will add enought ligth just to get a 'correct' exposure, that is, something not too dark, not too light, without too many burned or black areas, etc... But I understand that the light from the flash is added to the ambient light to get an acceptable exposure. Brackets have been discused a lot, and mcgregni pointed to a good discussion. In my usual setup, I have a PTTL flash on camera, just for fill if needed; then a trigger with a little sync cord to my camera's sync port. This way I can control flashes off camera; only manually without HSS or PTTL, but it's ok for me. But now the problem comes: how can I hold the trigger ? My hotshoe is already occupied. My solution for the moment is to use a light bracket where I put my trigger, while my flash is still on top of the camera. I can't use velcro or elastic bans (like magmod ones) to attach the trigger to my camera or flash. A. Use a transceiver, so you put the transceiver on your camera's hotshoe and then your flash on top. You get problems like added height to your flash, tension on your transceiver on long term, radio communication problems (yes the flash is on transceiver's hotshoe, but you communicate via radio). I think that this way was tried without success, Search the post from BruceBanner and others. B. The tipical bracket to put your flash there, trigger on camera's shoe and flash controlled by radio. 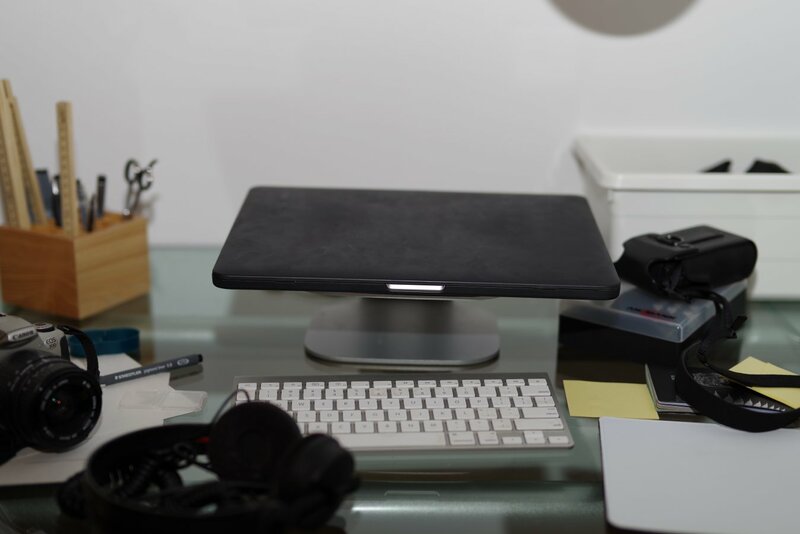 Mixed experiences here, some users find the bracket comfortable and others not. I think Bruce found communication problems with this configuration. C. A flash with transceiver capabilities. The ideal solution for me, but still doesn't exist fully implemented. The idea is a flash dedicated, so you can put it directly on a Pentax camera with PTTL support. At the same time, the flash is a transceiver so it can control other external flashes. This way you forget about having a bracket or two decives (flash+trigger). The flash should have a convenient display and controls to manage external flashes with ease. I know that the RF60 is also a transceiver and can control other RF60's, but if you put on the camera's hotshoe you, can use it only in manual mode (not bad, anyway). On Godox land, we have the TT350P (a PTTL flash with an internal transceiver), that I'm considering. But I see it still a bit lacking in power and about controlling external groups, you can only see one group at a atime, and it doesn't seem too easy to enable/disable groups or the main flash. A V860II-P should be the ideal flash for me, but no idea is Godox is going to develop one or not. Meanwhile... I will use my bracket just to hold my trigger . I've tested this again, and my conclusion is still that once the RF60x is placed on the hotshoe on top of the V6II, that all radio communication ceases. In this configuration, with Radio Slave mode set, and V6II in TTL mode, there was no response to any inputs on the V6II .... The RF60x did not change it's compensation setting nor flash head zoom setting. The flash output remained stuck at the level previously established before it was put onto the V6II. I tested first with the flash held out to one side, and flash exposures were good..... On top of the V6II the flash fired, but had no other responses. Changing apertures and ISO had the expected effects as if the flash were fixed at one power level. I am using firmwares PEN.003 and A03 on a K7. My assumptions here are that the flash trigger signal only is being received through the hotshoe, but that all radio comms are lost. This could be because of too close a range, or an actual cut out once a hotshoe connection is detected. I accept we do not have any evidence of any cut out system, so the too close theory seems most likely. Dericali, sorry but I am forced to doubt your results and wonder if there is some other variable at play that has not been referred to yet? Last edited by mcgregni; 01-28-2019 at 07:11 AM. Interesting. In wonder if it's a firmware thing. I believe my firmware might be PEN.001. If you see on my photos of the setup, it shows TTL in the flash's display screen, rather than any kind of power setting fraction. Did your flash unit show TTL when it was in radio slave mode, and then show something different when mounted on the V6II? Also the V6II should be set to TX rather than RX. Morenjavi, thanks for the question about the effect of ambient light on the P-TTL flash output. You are right that output will be adjusted in circumstances where the metering detects the opportunity to balance ambient and flash levels (eg fill-in type scenarios) ..... But for this to happen the camera settings have to be allowing a significant amount of ambient light exposure. In the test shots taken by the OP at ISO 100 this would not be the case, and so therefore the room lights would have no impact on the outcome of each P-TTL metering pre-flash. Thanks Nigel, understood. I agree that in this case you can ignore ambient light. Hi, yes, I saw the TTL indicated on the flash display, both when off-camera and also when placed onto the V6II. When the flash is receiving radio communications from the trigger there are changing indications displayed on the flash for flash compensation settings (eg +0.5), just to the right of the TTL letters..... I did not see these appear when changing flash compensation on the V6II. This plus the lack of any zoom response suggests there are no radio communications being received. So a good test would be to use the flash off camera first .... test a few shots and leave it set to a compensation setting (check this is displayed on the flash). Then mount it onto the V6II and use the dial to change the compensation and see if the indication changes on the flash. 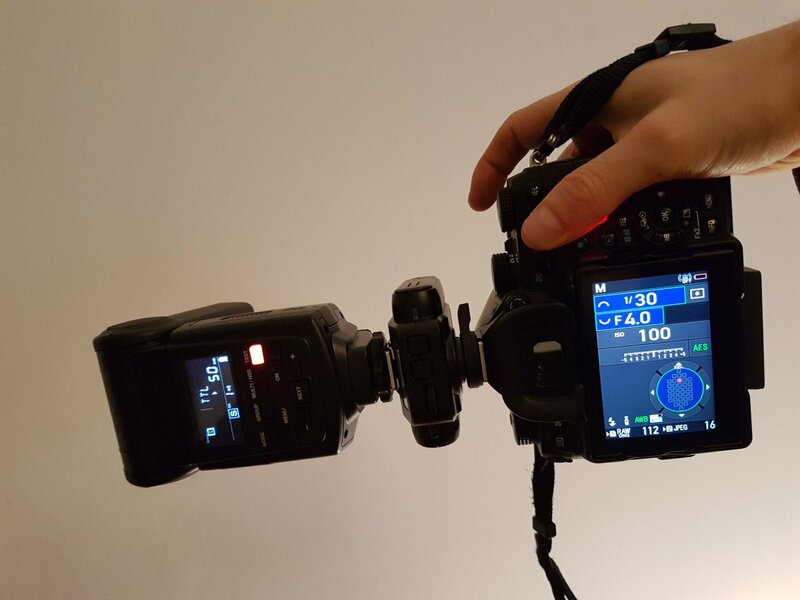 Also try flash head zooming from the V6II. As I reported, I got no response to either of these inputs. I can confirm I operated the V6ii in the Tx mode. Dericali, sorry but I am forced to doubt your results and wonder if there is some other variable at play that has not been referred to yet? Here's a pic of the compensation adjustment on the transmitter effecting the same change on the flash unit. (Zoom is not working with TTL at the moment whether the flash is off or on, will need to trouble shoot that at some stage, so I can't use that as a test). Test photos with variable apertures continue to come out correctly exposed. I guess the proof is in the pudding.